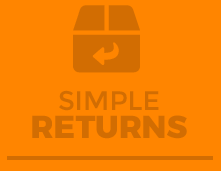 Trade in your keys for a personalized code you can’t lose. 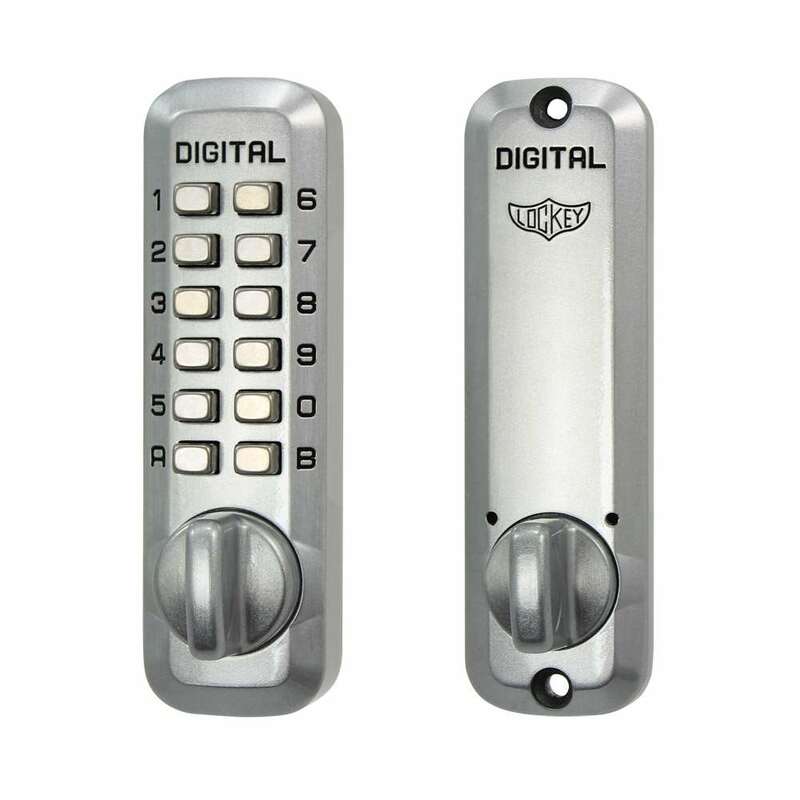 With a convenient thumb-turn for entry and exit this maximum security deadbolt makes your home bump proof, and Teflon coated stainless steel interior parts make the lock one of the most resilient. You’ve worked hard to have a beautiful home, but what good is it if you can’t get in it. 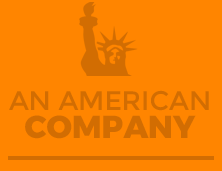 Trusted to Take Care of Your Home Security Needs. 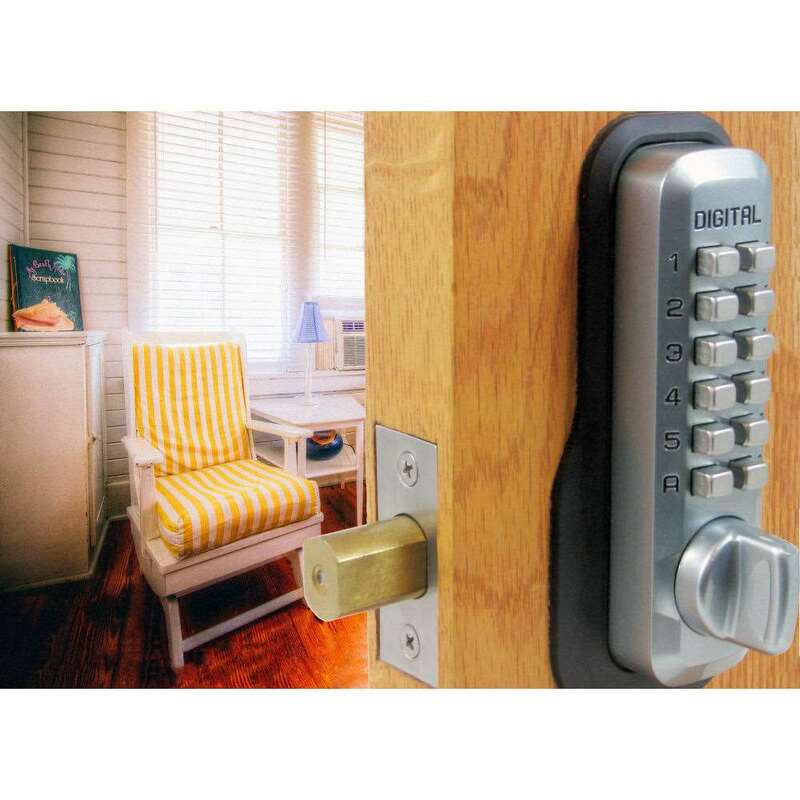 Part of the wave of innovation in home security, the M210 keyless deadbolt features a vandal-protected, rust-resistant, combination keypad, and only permits access to those who know its code. 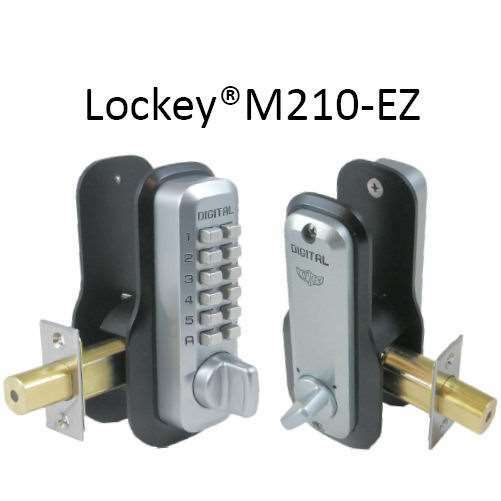 For use on doors requiring top-bolt locking, the M210 retrofits your common, everyday deadbolt. 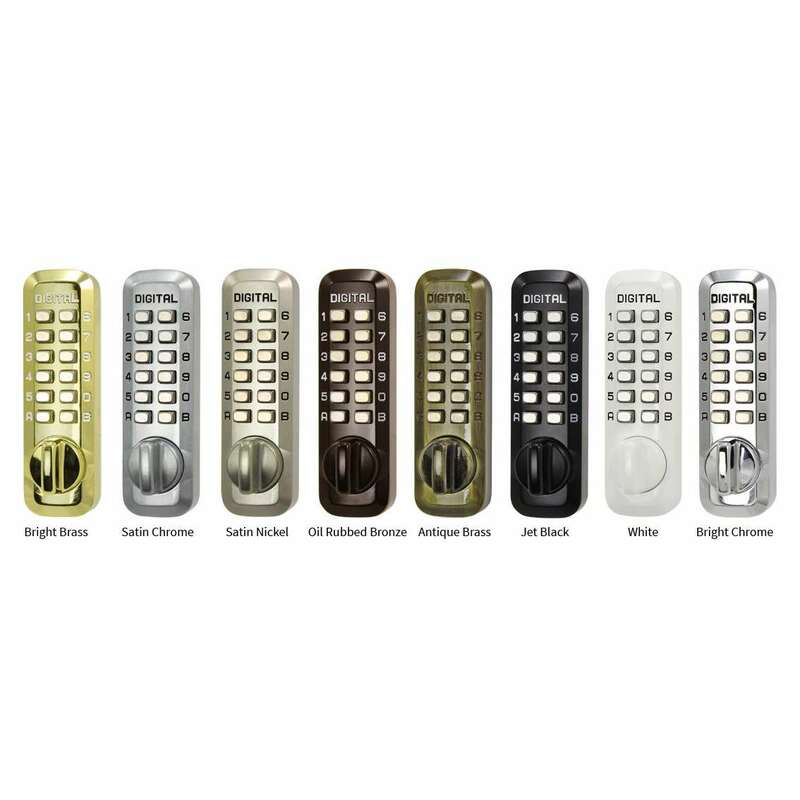 The M210 keyless lock is as strong as any lock in its class, adds value to your property, and pays for itself after a few days of use. Why go another day with keys. 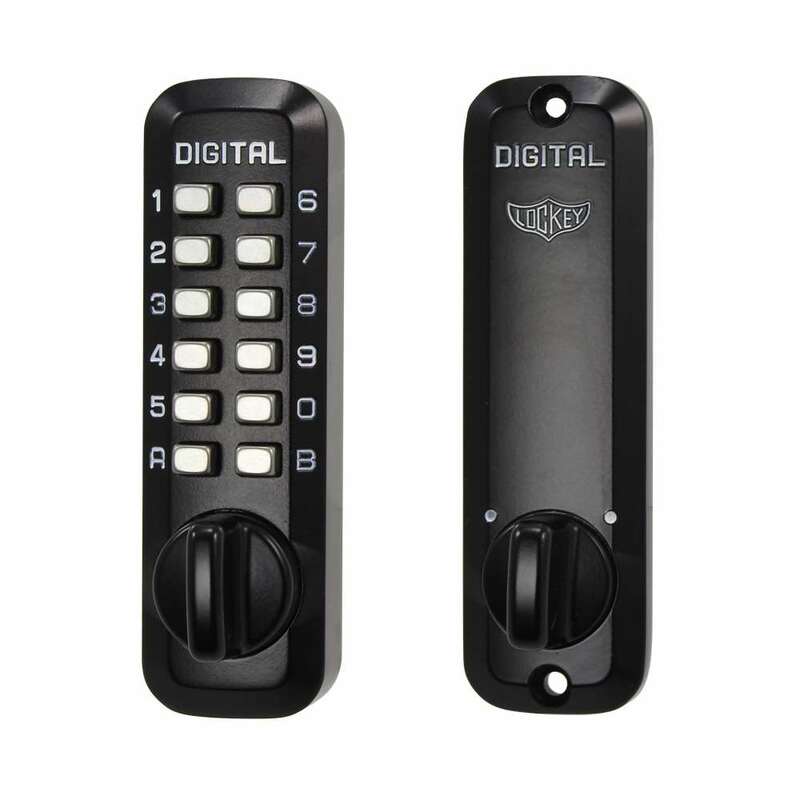 The M210 is suited for light traffic residential and small office entry doors where you want to control access for a relatively few number of people. Separate handles are available at checkout for opening the door. Released in the Spring of 2006, the “bump” and pick proof M210 became an immediate GoKeyless top-seller in mechanical keyless deadbolt locks. Please beware of reproductions. 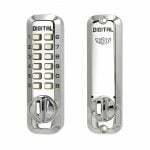 We only stock the authentic Digital Door Lock, not a copy. I purchased my GoKeyless lock to replace one which had been in use between 25 and 30 years and was beginning to malfunction. The new one is easier to use with the raised tab (old one had just a round knob) and the fewer and larger numbers make them easier to read. Originally’ the lock was intended for use by our school age children (no lost keys and never locked out) and it worked well for the whole family. My only disappointment was that the vertical hole spacing changed by about 1/2″ and required a new hole in my steel door and a plug for the old hole. First of all the lock works fine. I did not find the installation instructions to be user friendly. My suspicion is that they were written by an engineer. 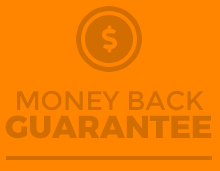 Also’ I’ve purchased locks from you in the past which seemed to be higher quality. I’m not unhappy’ the lock is working. 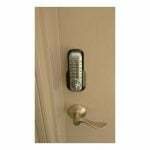 We are loving our keyless lock. We bought it because we have a large family and didn’t want to worry about getting so many keys cut for everyone. It’s very easy to use’ even for our kids’ and we never need to worry about losing or forgetting our keys. We are very happy with the M210?s that we have. We ordered the easy installation add on and they really delivered. We previously had a battery powered one and had to return it because the batteries ran out so quickly. I like that this lock is all mechanical. It is pretty small and does not look bad on the door either. Best of all we don?t have to carry a key and we feel secure! I am very pleased with the performance of the lockey m210. I’ve had my new lock installed for a while and I have to say I love it. I love how easy it is to unlock my apartment’ and yet the safety of not worrying that someone can easily bump the lock. I know that my door is still not ‘100’ percent unbreakable. I know that the jam is still a weak spot – but’ any breakins now will leave a sign. My old lock was designed to keep an honest man honest (and this world isn’t full of honest men). I’ve been broken into’ and except for the things missing – there was no exterior sign to the door that someone came and went. (Old door with lots of past jam damage). Now – with my keyless model/ deadbolt – I feel safer. A reasonable price for security and sanity. Thank goodness! Great quality product. For the first time in 10 years’ my back gate now feels secure. Your keyless combination-lock deadbolt hardware exceed my expectations. Neither the custom setting the combinations nor the installation of the hardware could have been any easier. Thank you also for the prompt fulfillment of my orders. We love the lock and it fits! We had a problem cause of a window in the door that all locks we looked at was too wide but this one fits perfect. 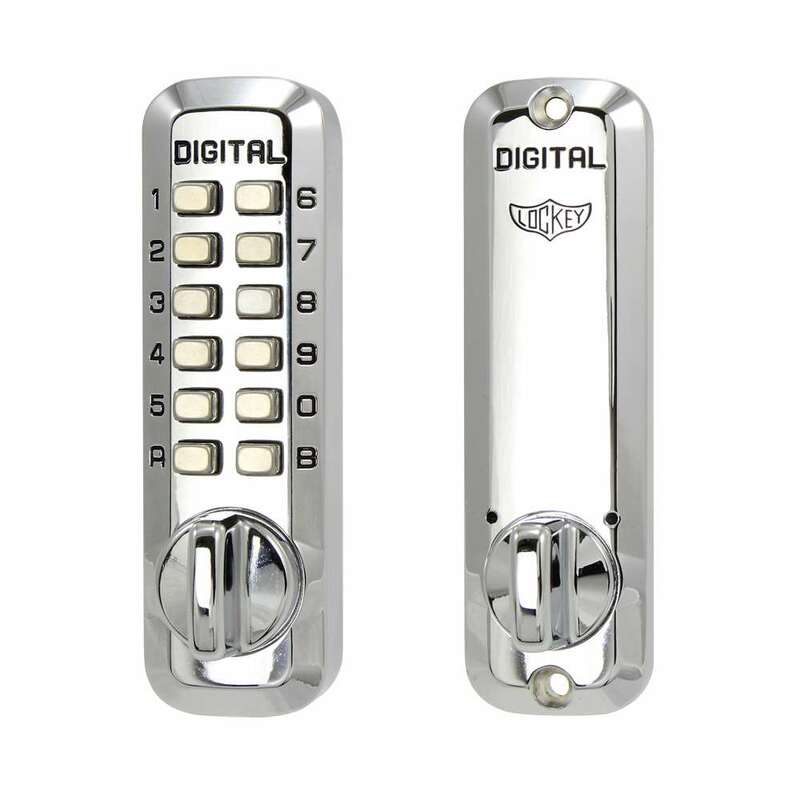 we are really considering replacing the other 3 deadbolts to this keyless lock! Love that there is NO BATTERIES!!! No, it works like a standard deadbolt in that it will stay open until you close it and vice versa. So yes you can leave it unlocked all day and lock it back at the end of the day. That is something that we cannot answer as it has not been tried. 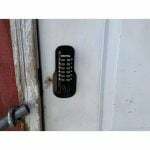 While August has plenty of suggestions for what locks do work with it, it doesn't mean that you couldn't attempt to do something like this but it would create an issue that you could not return the August once it is opened and used. We would recommend staying within the variant that August will work. 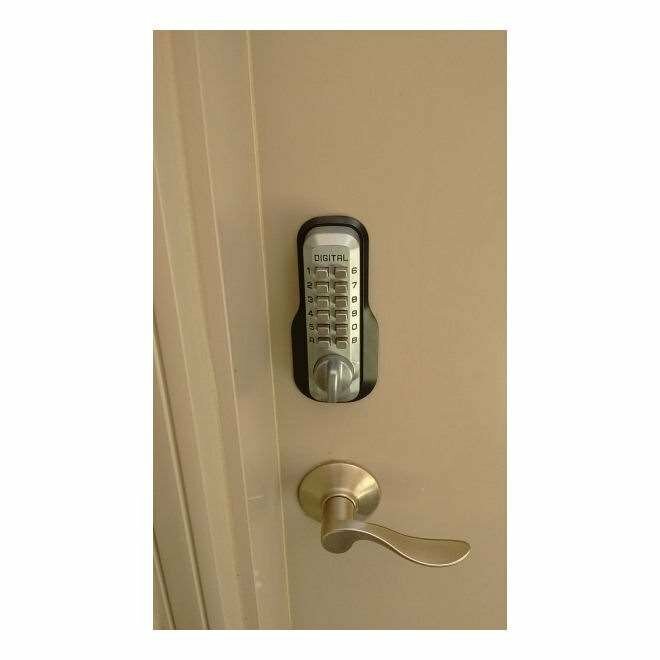 No, while you can fit the body you cannot fit the deadbolt as it will have a 2 3/8 inch minimum backset. 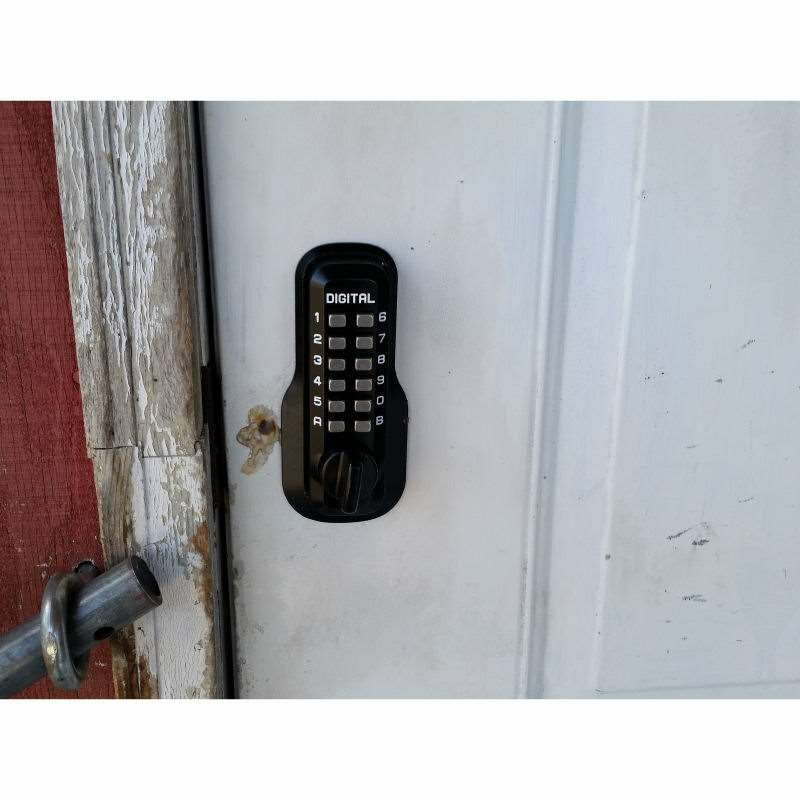 You can, however, purchase and have a gate box installed that will meet the requirements for the lock. You will need to have the gate box welded into place. Yes, it can, but keep in mind that doing so will affect the weather resistance and the ability to cover a 2 1/8 inch hole as it will not have the rubber backing to cover or seal out the weather. 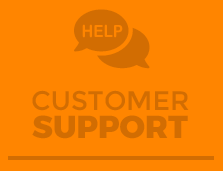 Which will also affect the warranty as any damage due to weather would not be covered because the backing is not installed. Answered by the admin The small knob is very easy and smooth to turn. 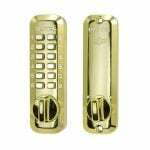 Most of the trouble that exists in deadbolts that are hard to turn is due to a poor installation and the bolt binding in the door. With proper installation, this lock will turn very smooth. Answered by the admin The EZ mount is a steel plate that comes with the M210 lock. 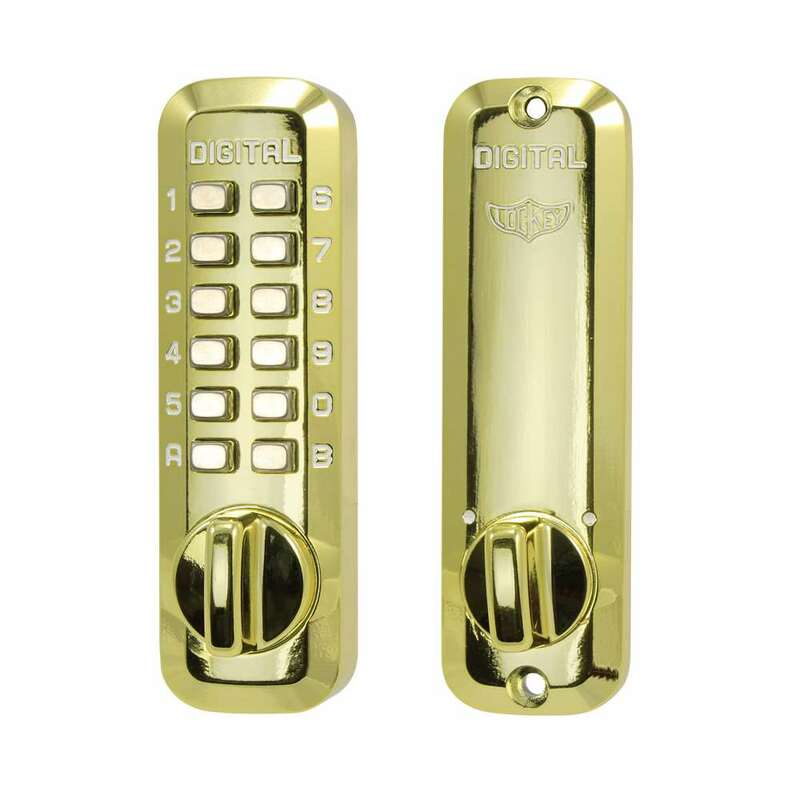 The stability of the lock is actually enhanced without the use of the additional hole and screw in the door. You will find this installation to be easier and just as stable as the previous installation.